Getting back into your car after suffering from a road accident isn’t easy. While you may not have suffered the physical traumas, there are still the psychological effects that are prevalent after an accident takes place. The thought of getting back behind the wheel again may give you untold amounts of anxiety, and despite the assistance of an auto accident lawyer, no amount of compensation is going to make your life easier when it comes to dealing with your feelings. Still, you can’t avoid it forever, and there are ways to make getting behind wheel possible again. Consider the following for example. You shouldn’t keep your fears to yourself, so talk to anybody who is willing to listen. Friends and family are a start, and the more you get your frightened thoughts out into the open, the less burden you will be carrying around on your shoulders. While those closest to you may not understand exactly how you feel, they should at least be sympathetic to your feelings. Consider trauma counselling too. Usually done through CBT, the counsellor will talk through your traumatic experience with you, help you to manage your fears, and give you tools to eventually overcome them. This is especially useful if you were in any way responsible for the accident, or if you panicked in the face of a dangerous road user. By taking a defensive or advanced driving course, you will sharpen up your skills to help you manage most situations, and regain your sense of confidence in getting back behind the wheel. Modern cars are fitted with a range of safety features, and these are designed to protect you and your car when out on the road. From driving assist features to airbags, you will at least have added peace of mind, even if you never have to make use of them. You don’t need to swap your car for the latest high-end vehicle with all the safety bells and whistles attached, as mid-level cars have certain features as standard, and you can get your existing car modified with anything you feel necessary to improve your state of mind. As with any trauma, you need to pace yourself when dealing with it. In this case, you should get back on the road in stages. This means going for short, undemanding drives, perhaps with another driver sitting with you to give you peace of mind if your nerves get the better of you. After a while, take short car journeys alone, even if it’s only to the shops or the commute to work. You should also visit the crash site. Avoiding it forever may be problematic, and as any counsellor will tell you, visiting the cause of your trauma is your first step to overcoming your anxiety, no matter how difficult it may be. 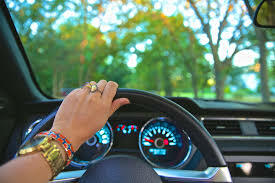 After taking these small steps (although they will be huge in your mind), you will be able to drive for longer distances again, including your annual summer road trip. We hope you never get involved in an accident, but if you do, the steps above should help you to get back out onto the road. Let us know if you have any tips based on your personal experience.